Does a free copy of your conversion story mean a free copy of your book "Crossing the Tiber"? Or is it your conversion story in some other format? It means a copy of my conversion story on audio CD. So how do we buy this? I click on buy it now and it just gives me the generic product list. 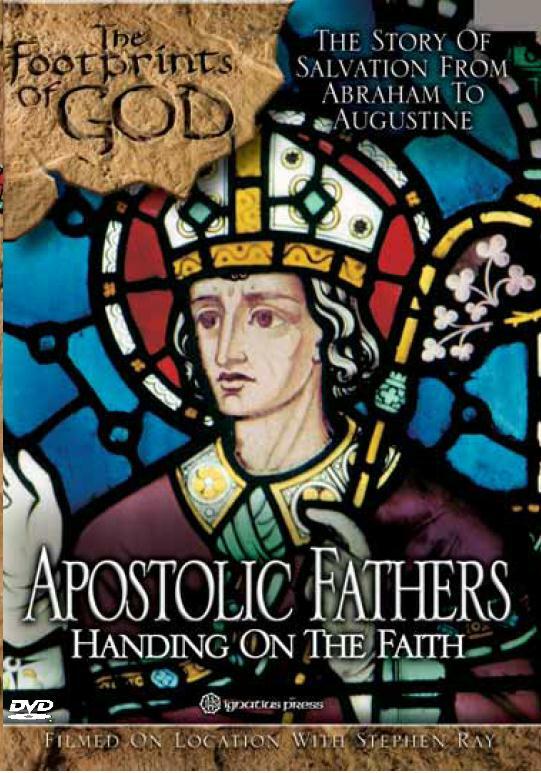 Do we just find the Apostolic Fathers product and assume the special deal will kick in? Or do we need to click on some special package? STEVE RAY HERE: I made the link go directly to the item in the store. The free audio CD "Defending the Eucharist" will be automatically included in each shipment by my daughter Cindy. Thanks for asking and letting me know about the link. I was wondering how long it takes to receive one of the DVDs that are ordered. Thank you so much for what you are doing! God bless you! STEVE RAy HERE: You should usually receive it in a week or ten days — depending on where you live. I just bought it yesterday at my local Catholic Gift Store. It is still in the wrapper. but I will see it before weeks end. Thank you for these inspiring DVDs. STEVE RAY HERE: Hello Salvador: I have been to Israel 50 times over the last 14 years and have taken large groups on pilgriimage over 6 times in the last two years. Everyone has always commented on how they THOUGHT it was so dangerous — because CNN tells them so. But once they are there for a few days everyone comments on how friendly, beautiful and safe it is in the Holy Land. We would never take anyone into harm's way. There are a few spots in the Palestinian areas (namely Nablus and Gaza) which we would not take pilgrims to. But these places are far removed from the very safe places we visit. You have never heard of a pilgrim being in danger, even years ago in the worst of times. It is very safe and friendly and you will have a delightful time. Please check my website http://www.SteveGoes.com for Safety Updates and Information. Also check out the Endorsements on my site to see what other Pilgrims have said about the safety and experience they've had. Welcome to Jerusalem!!! STEVE RAY HERE: Hector, I have no control over Vision Video and the offer of my free CD was for purchases made on my website. Sorry. No problem Steve. I guess next time I will buy the other stuff from your website.